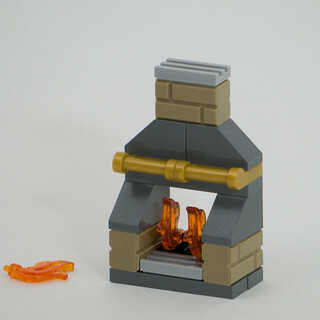 The fireplace is nice, with two flame pieces and a spare one in case one goes out. 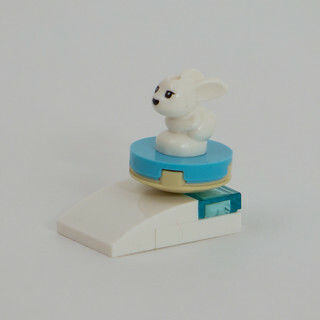 The bunny is adorable, and the little tiny slope looks safe enough … Get it? Bunny slope??? I don’t know if it was intentional, but I think it’s kinda hilarious. But then I love a good–by which I mean bad–pun. 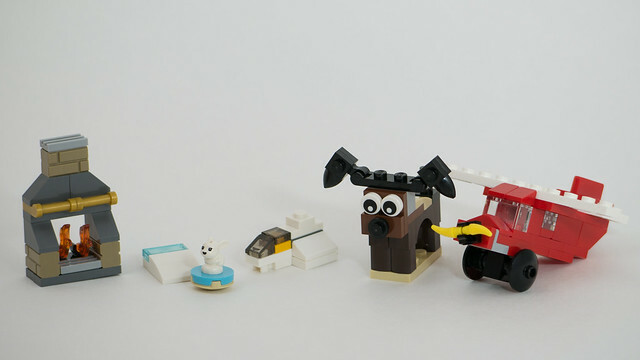 But then when the bunny tries to ride down the hill, a catastrophe results! The Star Wars calendar seems to be fixated on this Rebels TV show that I’ve never seen. It’s not that great of a model if you ask me, sorry. They should have marked the box “Star Wars Rebels” as a warning not to buy it. 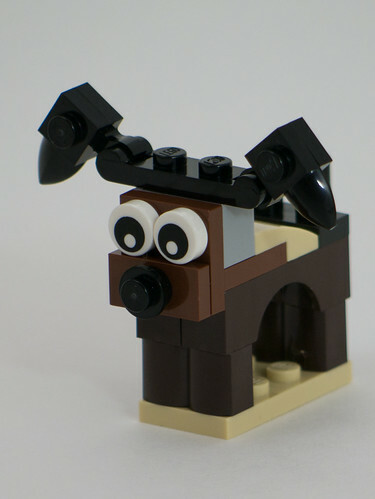 For Christmas Build Up, I think this is a puppy, but it could be any number of adorable quadrupeds. 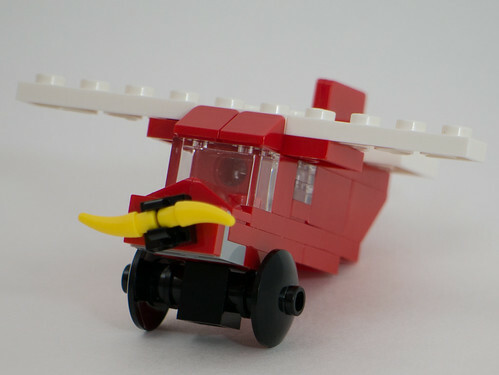 And here’s the airplane – I was thinking of a Piper Cub mostly. 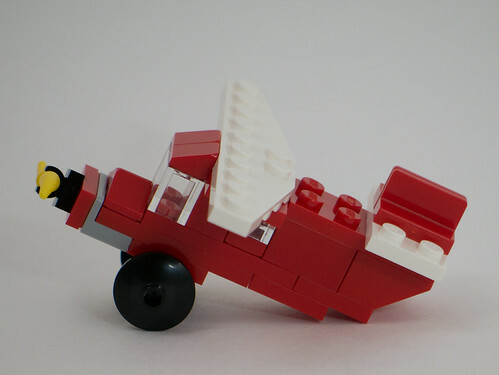 I couldn’t find a good way to model the tailwheel or skid, though. 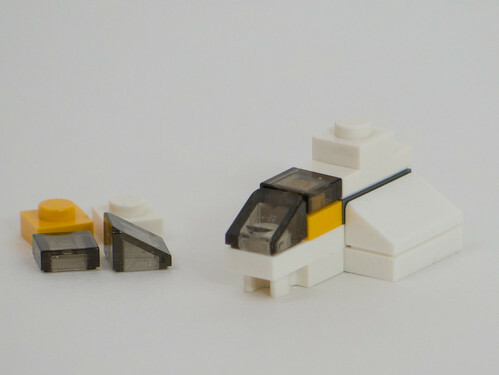 Note: The snowplow MOC from yesterday has been added to yesterday’s post. 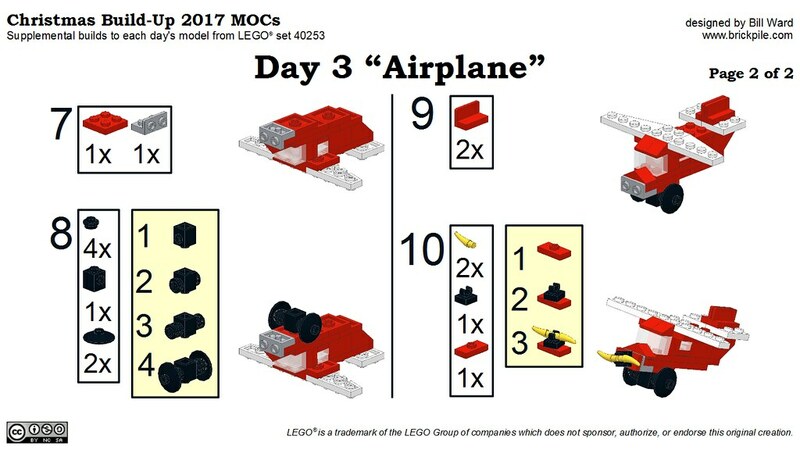 [Added Dec 13th] Here’s the instructions for the airplane. 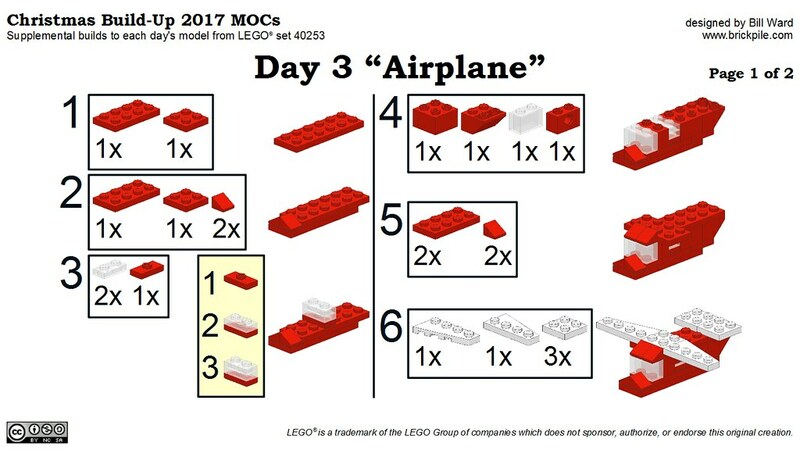 I guess I forgot to go back and edit this post, though I published the instructions on Flickr on the 4th.